NaturesLens invites wildlife photographers of amateur & semi-professional experience to join Alan in escaping to the diverse landscape of the Sierra de San Pedro region of Spain, you will spend days from dawn to dusk capturing stunning images of native eagle & raptor species; including of course, the magnificent duo of Golden & Bonelli’s Eagles, plus a variety of other species that are indigenous to the region. 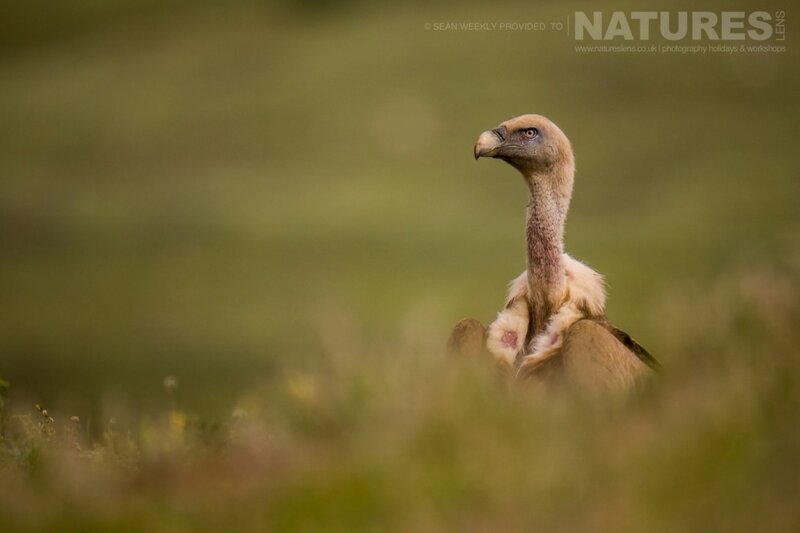 With a selection of comfortable hides throughout the estate at your disposal, this will provide you with the best bird photography opportunities possible, capturing them in flight, within their habitats & interacting with one another. 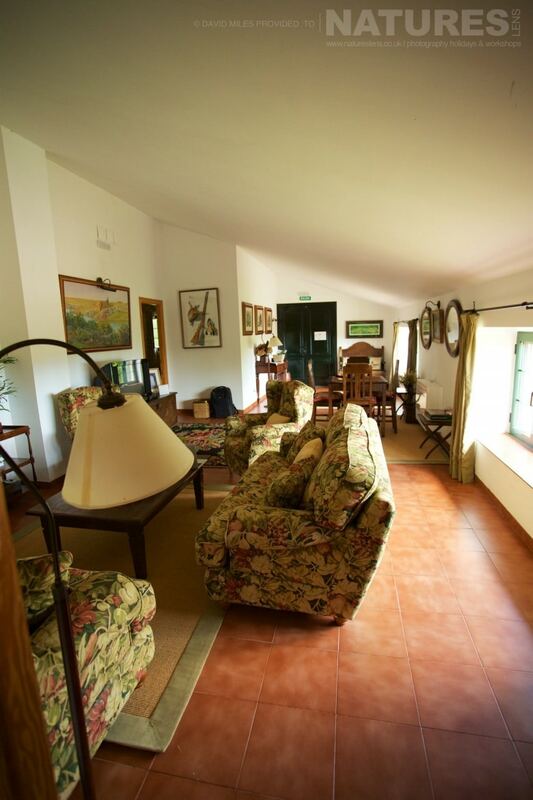 Based in a beautifully renovated villa, for your night stay, you will be located in the centre of the estate upon which the bulk of the photographic opportunities take place, you will enjoy the perfect scenery & emblematic species that the region has to offer. As usual, our small group size ensures that you have optimum use of the hides, allowing you to capture spectacular images from the best angles, with photography guidance provided by Alan where needed. 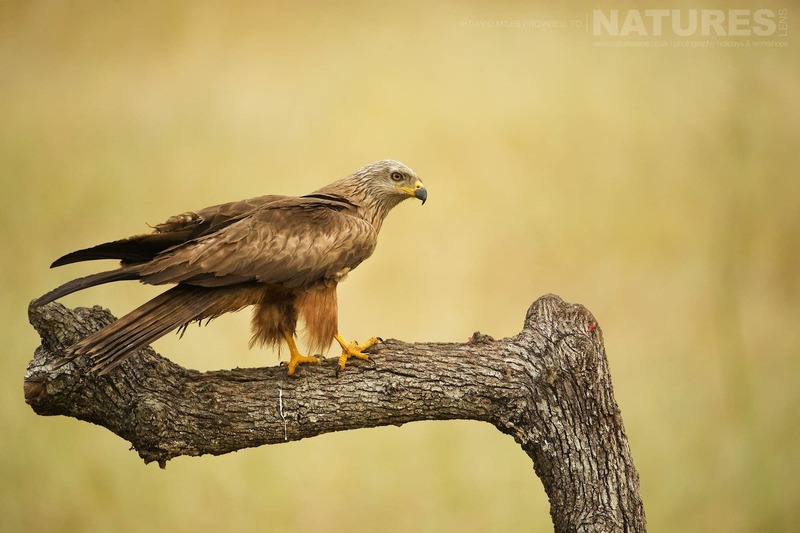 Join NaturesLens to capture images of Golden & Bonelli's Eagles, in Spain, during the Eagles of Extremadura photography holiday. 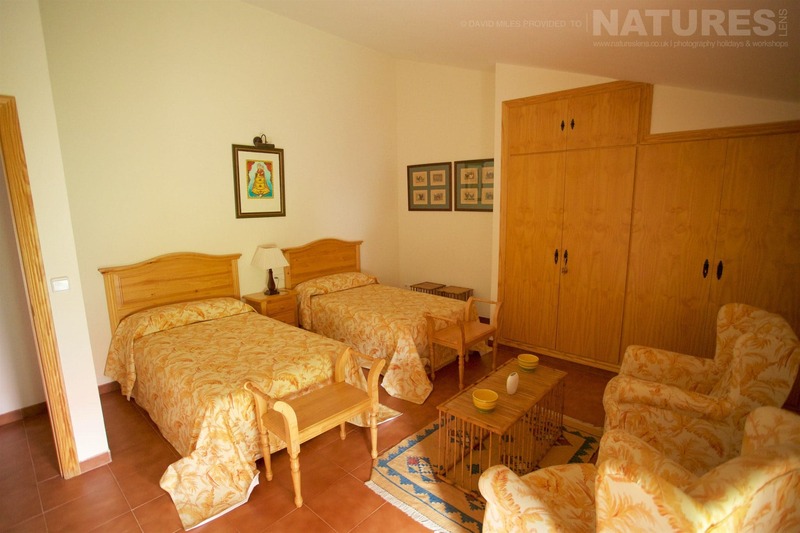 This photography holiday is of day duration on a Full Board, Shared basis & costs £2149 per participant. A thriving hub of avian predator life, the various eagle & raptor species co-exist in Sierra de San Pedro, Spain, facilitating stunning action shots as different sizes, species & colours fill the air. 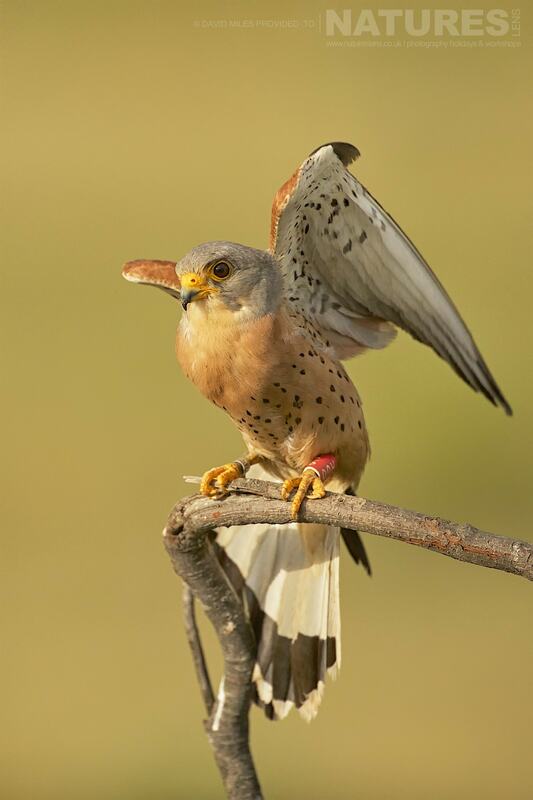 From the splendid Bonelli’s Eagle to the diminutive lesser kestrels, all living side by side in the local ecosystem, which exists in this region. 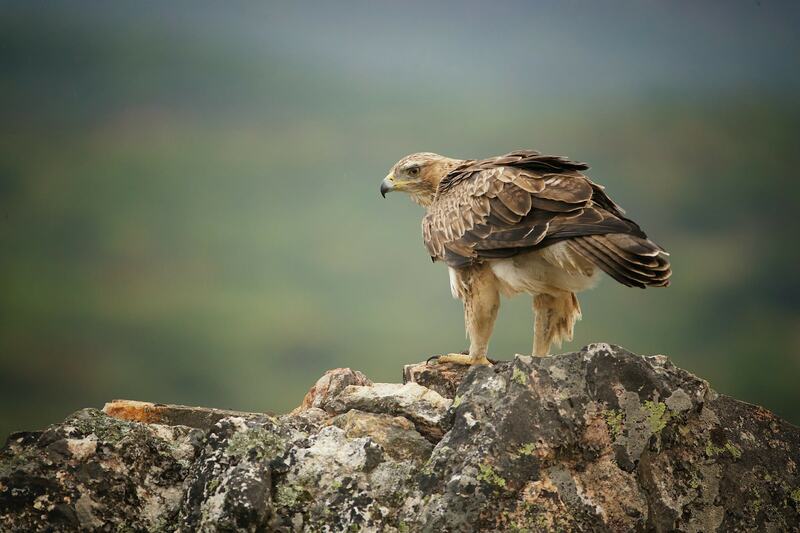 Our Eagles of Extremadura photography holiday provides you with a week packed with hide sessions, where your photography will benefit from unique access to locations; the hides are placed strategically within the landscape to provide an optimum opportunity to photograph a stunning range of bird species. 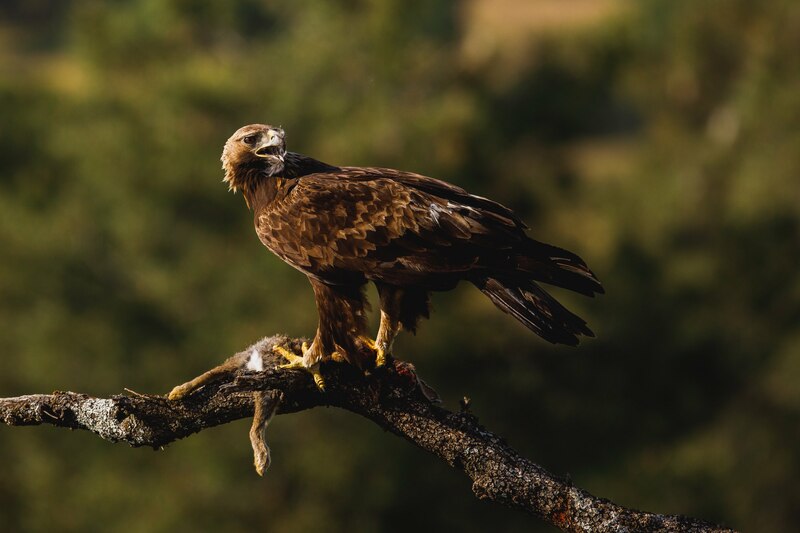 Additionally, you will have two hide sessions dedicated to the photography of the Bonelli’s Eagle, a session dedicated to Golden Eagle photography & a further session dedicated to photography of the other raptors of the estate, such as Buzzards, Red & Black Kites. Finally, one afternoon will be devoted to photography from a floating hide, & this enables intimate photos of birds on the water, however, should this not be for you, we will arrange for this to be substituted with another equally exciting hide experience. 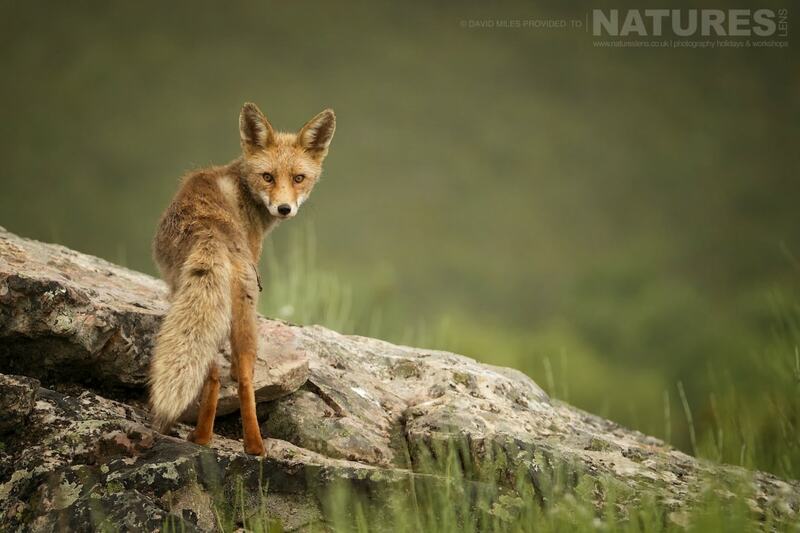 This Eagles of Extremadura photography holiday is a unique opportunity to photograph some of the planets most impressive eagles & raptors, plus fascinating other species, including fox, mongoose, kingfisher, lesser kestrel & more. 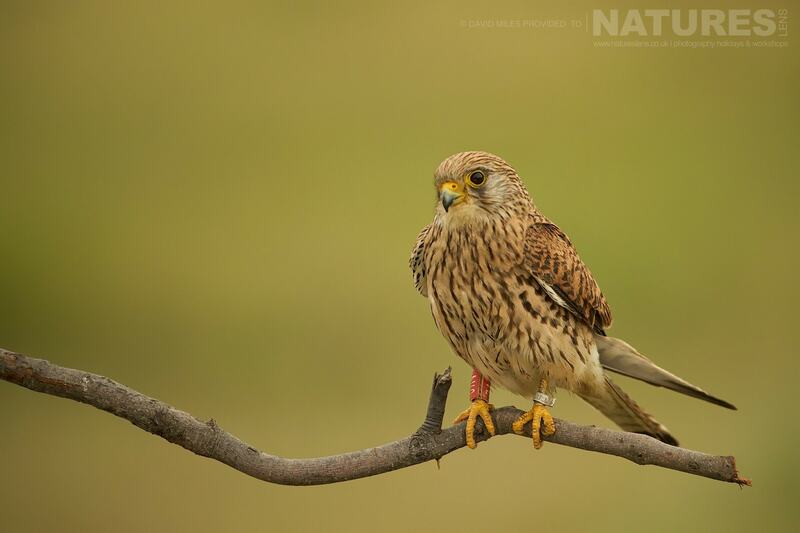 The stunning landscape offers keen wildlife photographers the perfect opportunity for capturing fabulous images of avian predators as they fly overhead or settle in their perfect habitat. 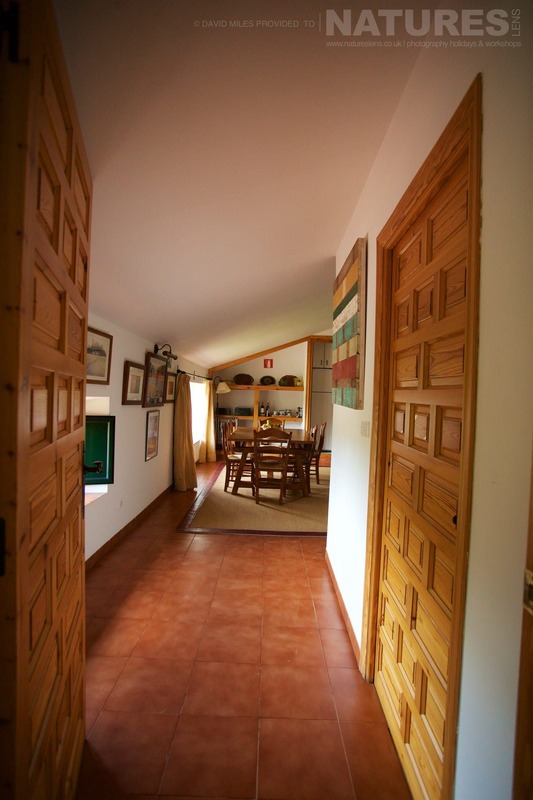 Accommodation is provided on a full-board basis – from a light breakfast through to a 3-course dinner with cooked lunch in between; the fridges are kept fully stocked with all manner of drinks, & wine is served with the meals. Everything is taken care of for you so that experiencing & photographing the species & their environment is all you need to worry about. 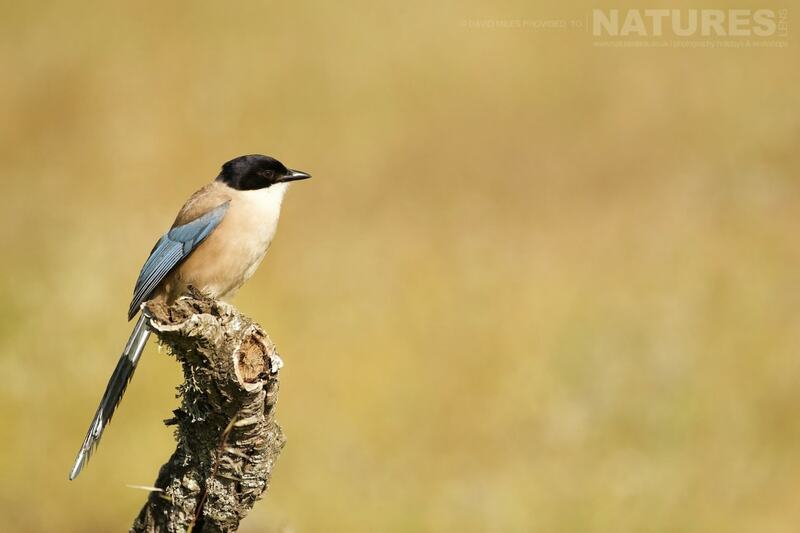 This trip suits keen photographers with a desire to experience the magnificent wildlife that Extremadura has to offer; capturing editorial-quality images of a range of bird species to treasure for years to come. Places are highly limited to ensure the best experience for every guest, so book early to avoid disappointment. One of the reasons that to date, NaturesLens had not featured the Bonelli’s Eagle on our photography holidays before this one was that all the locations that we found previously were “live-baited” … none of the species on the Eagles of Extremadura photography holiday is live-baited, hence NaturesLens now being happy to offer this species to our clients. 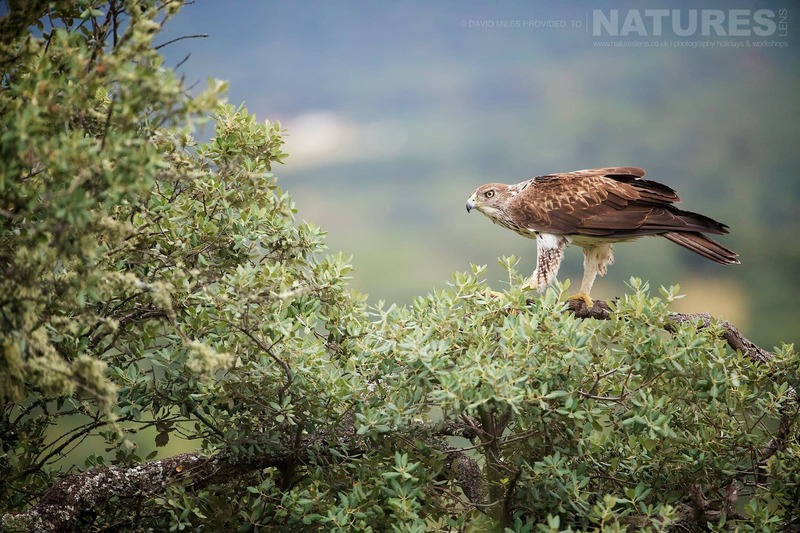 NaturesLens invites wildlife photographers of amateur & semi-professional ability to join them in escaping to the diverse landscape of the Sierra Morena, capturing stunning images of native eagle & raptor species. With a selection of comfortable hides throughout the area at our disposal, we will provide you with the best bird photography opportunities possible, capturing them in flight, within their habitats & interacting with one another. 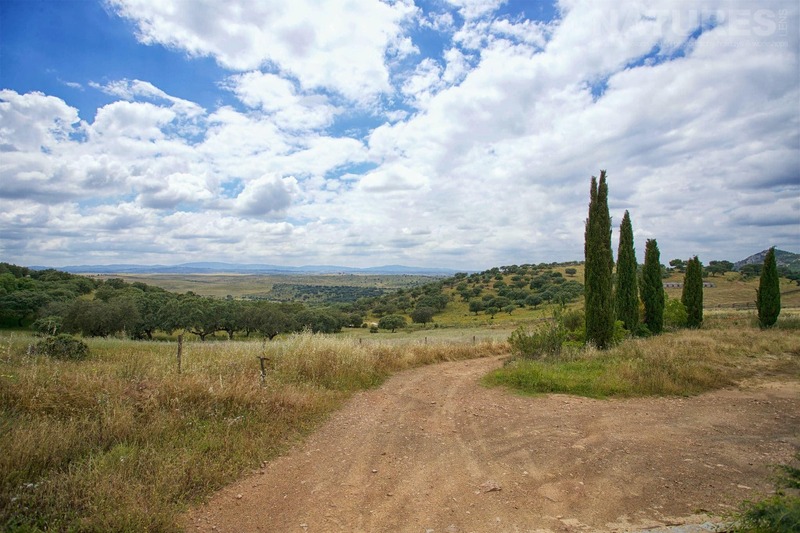 Based in a beautiful Andalusian town, you will enjoy the unspoilt scenery & emblematic species that the region has to offer. Small group sizes ensure that you have optimum use of the hides, allowing you to capture spectacular images from the best angles, with photography guidance provided by Dan where needed. 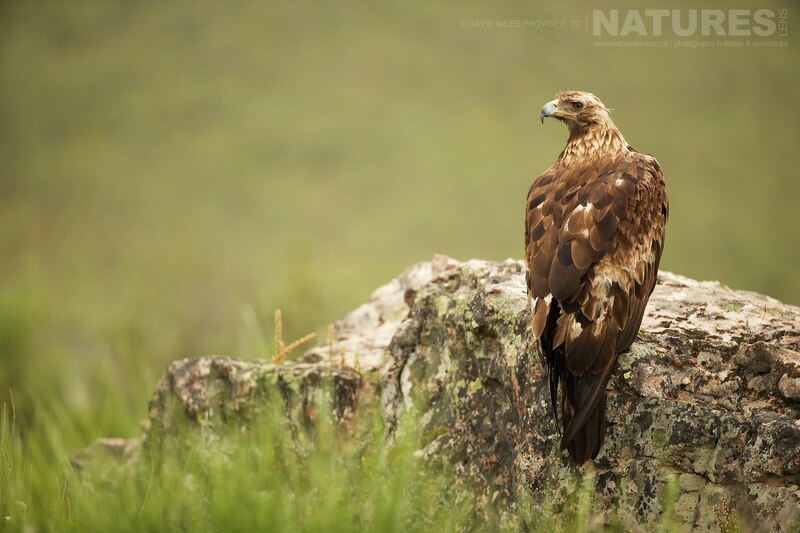 Join NaturesLens to capture images of Golden Eagle, in Spain, during the Golden Eagles & Raptors of Spain past event. This past event is of day duration on a Full Board, Non-Shared basis & costs £2099 per participant. 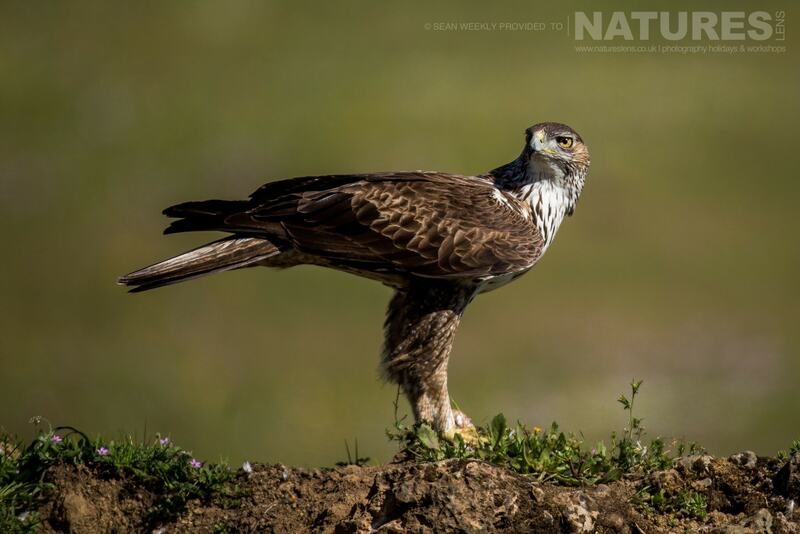 A thriving hub of avian predator life, the various eagle & raptor species co-exist in Adamuz, Spain, facilitating stunning action shots as different sizes, species & colours fill the air. From the majestic Golden Eagle to the diminutive lesser kestrel, all living side by side in the local ecosystem, which exists in this region. 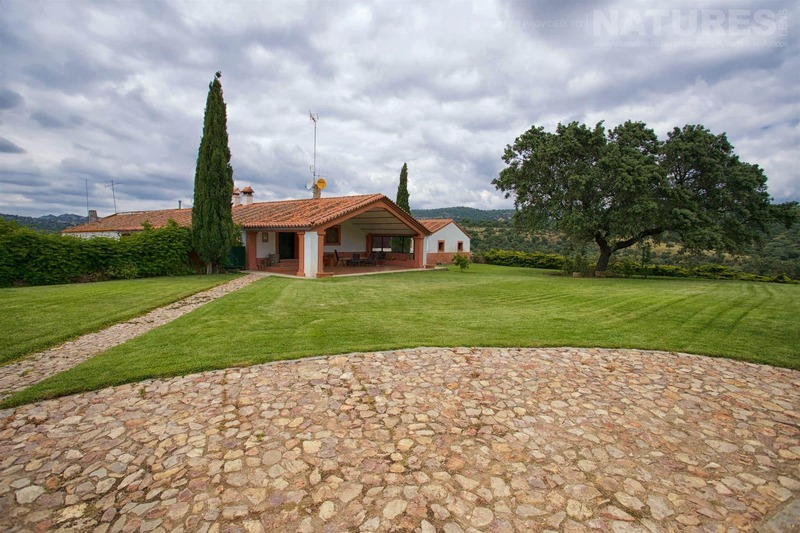 There are two natural parks in Sierra Morena, & the area is a designated Biosphere Reserve. NaturesLens provides a week packed with hide sessions, where your photography will benefit from unrivalled access to hides, placed strategically within the landscape to provide optimum opportunity to photograph a stunning range of bird species. 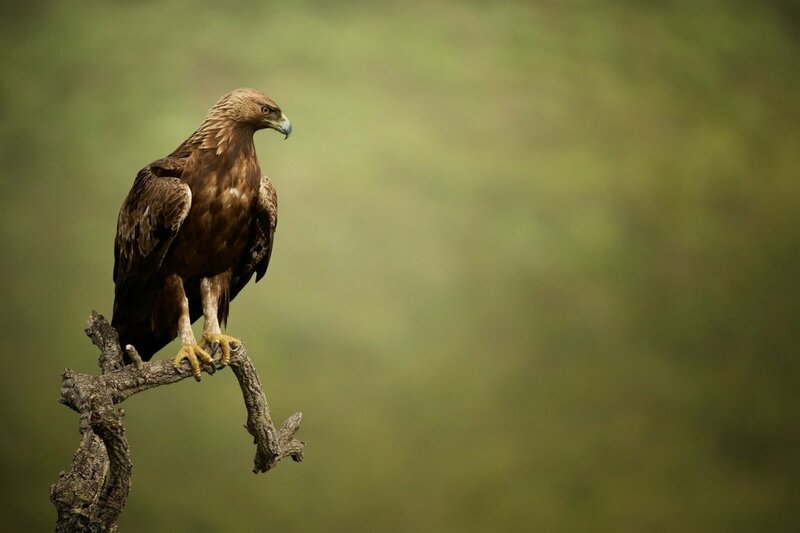 This is a unique opportunity to photograph some of Mother Nature’s most impressive eagles & raptors, such as the Spanish Imperial Eagle; the majestic Golden Eagle, one of the best known birds of prey in the Northern Hemisphere; plus other bird species such as cuckoo, hoopoe, kestrel, lesser kestrel, & little owl, to name but a few. 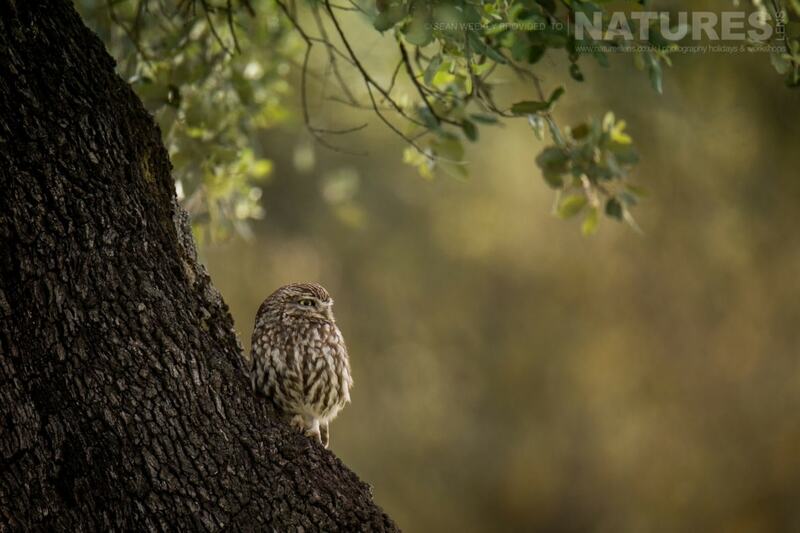 This medieval Mediterranean landscape offers keen wildlife photographers the perfect opportunity to capturing stunning images of avian predators as they fly overhead or settle in their unspoilt habitat. Accommodation is provided on a full board basis – from a light breakfast through to a 3-course dinner with a picnic lunch in between. Everything is taken care of for you so that experiencing & photographing the species & their environment are all you need to worry about. This trip suits keen photographers with a desire to experience the magnificent wildlife that this region of Spain has to offer; capturing editorial-quality images of a range of bird species to treasure for years to come. Places are highly limited to ensure the best experience for every guest, so book early to avoid disappointment. 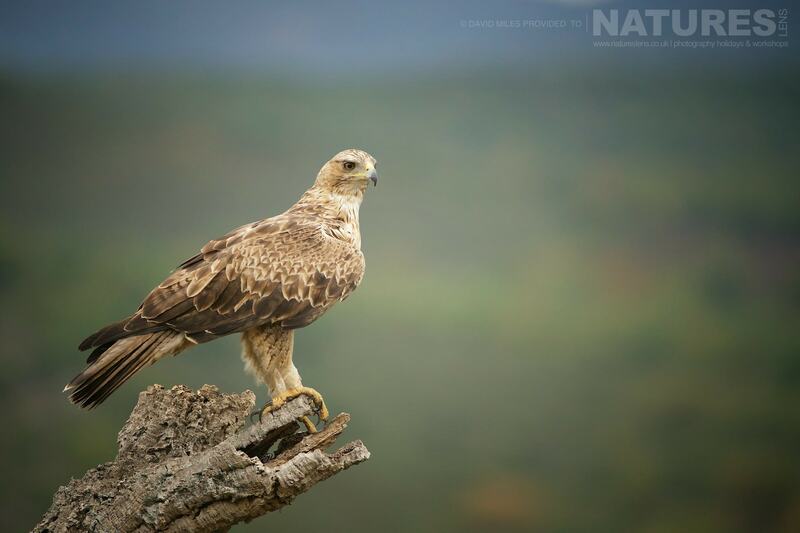 NaturesLens invites wildlife photographers of amateur & semi-professional ability to join Alan in escaping to the diverse landscape of the Sierra Morena, capturing stunning images of native eagle & raptor species. 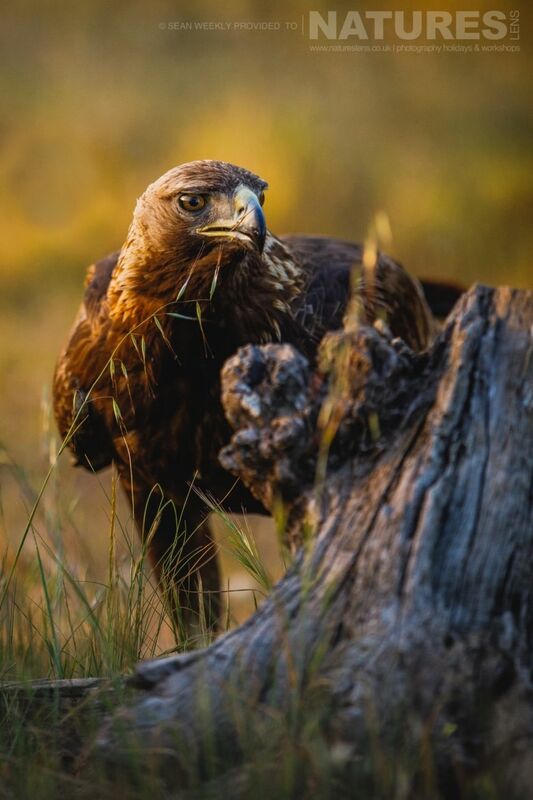 With a selection of comfortable hides throughout the area at our disposal, we will provide you with the best bird photography opportunities possible, including the Golden Eagles & other Raptors; capturing them in flight, within their habitats & interacting with one another. Based in a beautiful Andalusian town, you will enjoy the unspoilt scenery & emblematic species that the region has to offer. Small group sizes ensure that you have optimum use of the hides, allowing you to capture spectacular images from the best angles, with photography guidance provided by Alan where needed. 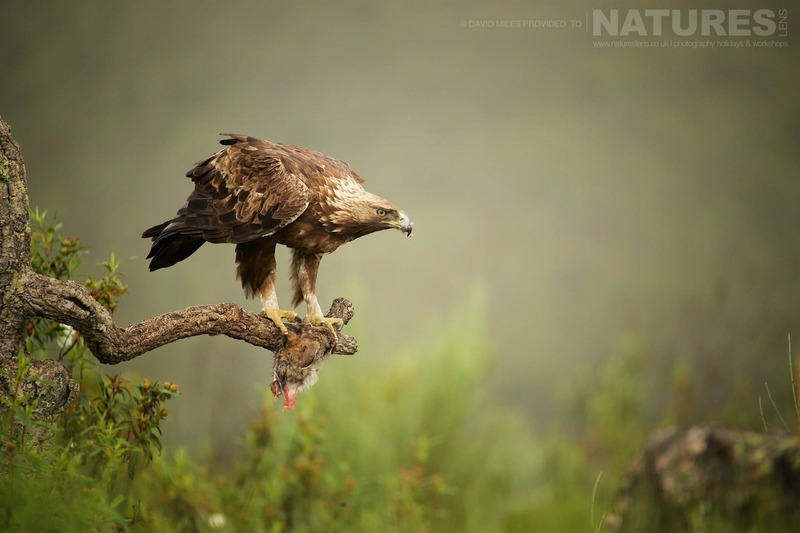 Join NaturesLens to capture images of Golden Eagle, in Spain, during the Golden Eagles & Raptors of Spain photography holiday. 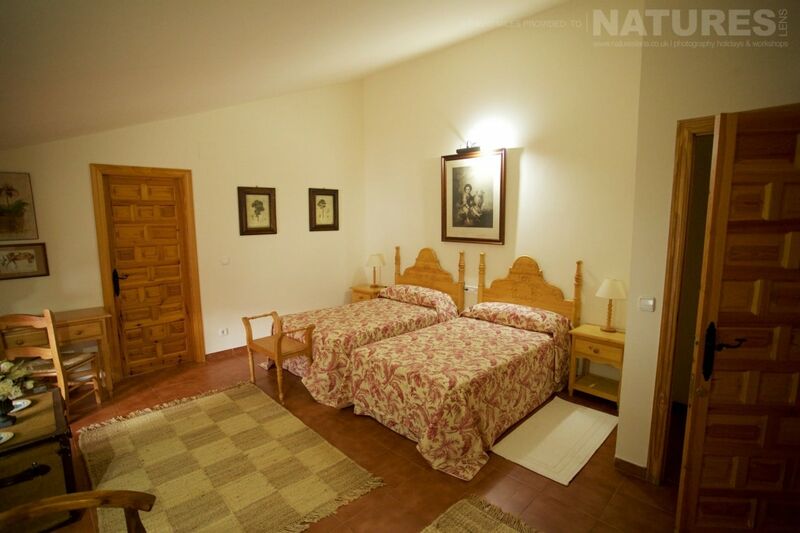 This photography holiday is of day duration on a Full Board, Non-Shared basis & costs £2149 per participant. NaturesLens provides a week packed with hide sessions, where your photography will benefit from unrivalled access to hides, placed strategically within the landscape to provide optimum opportunity to photograph a stunning range of bird species – throughout the trip, our guide, Alan, will be on hand to provide guidance & advice. 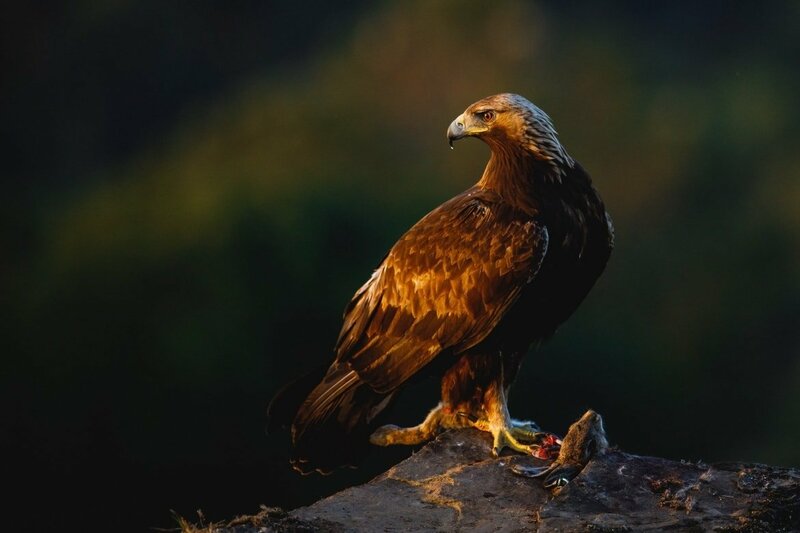 This is a unique opportunity to photograph some of Mother Nature’s most impressive eagles & raptors, such as the Spanish Imperial Eagle; the majestic Golden Eagle, one of the best-known birds of prey in the Northern Hemisphere; plus other bird species such as cuckoo, hoopoe, kestrel, lesser kestrel, & little owl, to name but a few. 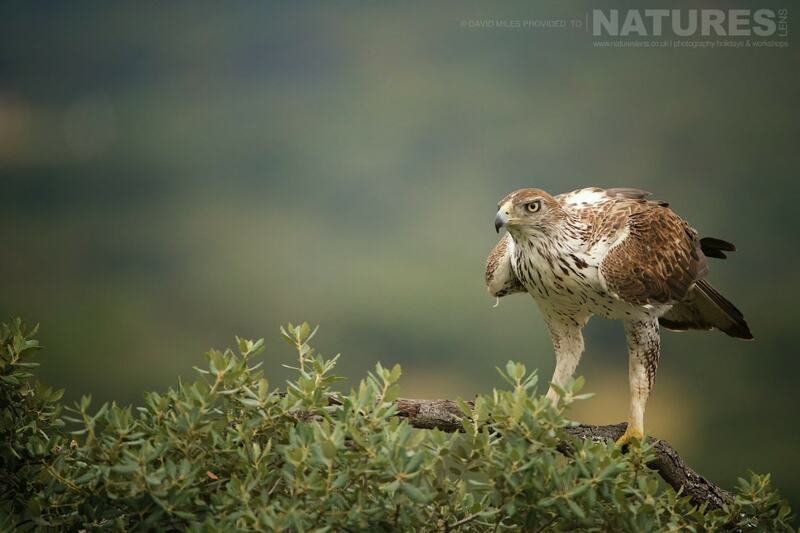 This medieval Mediterranean landscape offers keen wildlife photographers the perfect opportunity to capturing stunning images of avian predators as they fly overhead or settle in their unspoilt habitat. 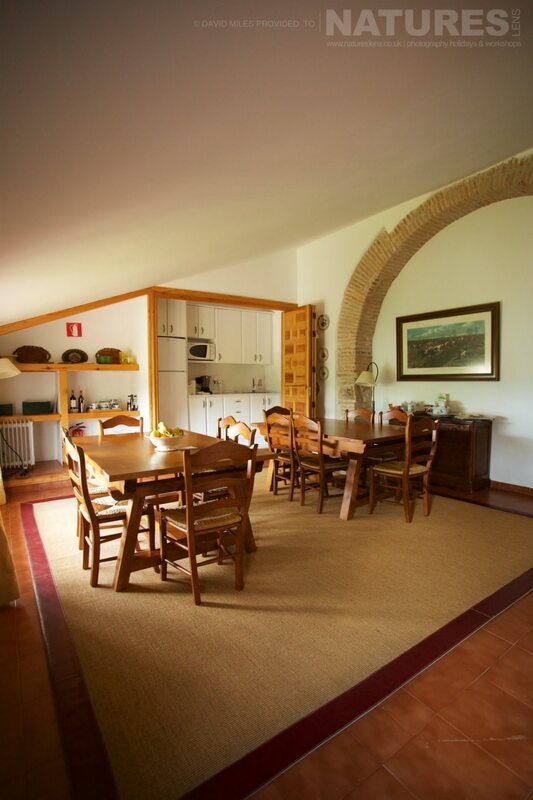 Accommodation is provided on a full board basis – from a light breakfast through to dinner with a picnic lunch in between. Everything is taken care of for you so that experiencing & photographing the species & their environment are all you need to worry about. 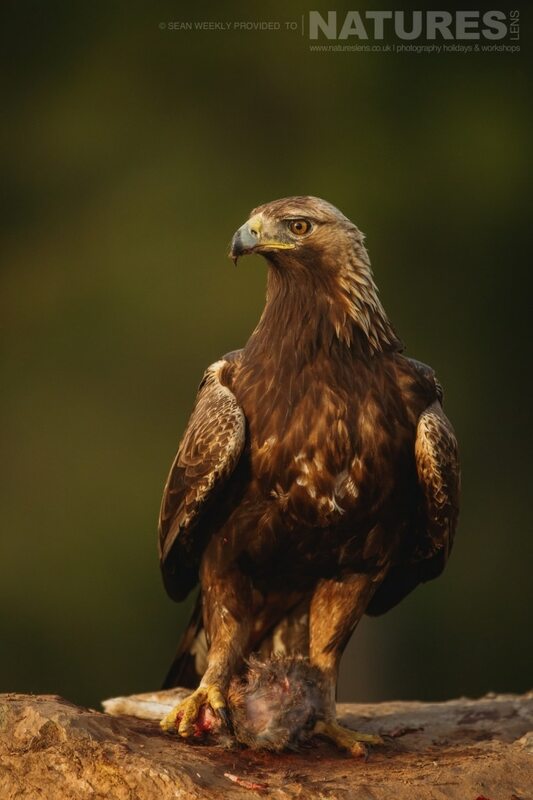 Whatever your query regarding our photography holiday, Golden Eagles & Raptors of Spain, please fill out your details below & we will get back to you.